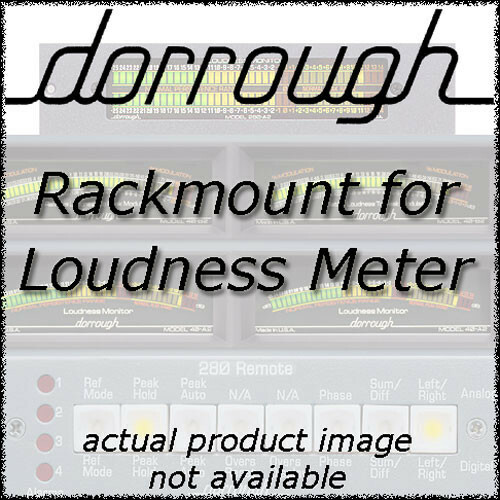 The Dorrough 20-S Single Rack Mount f/1-20 Series Meter is a standard metal rackmount unit measuring 19" wide and 1.75" high (1RU). The meter attaches to the metal frame and the mount comes with all attachment hardware. The Dorrough Rack Mount allows you to add their meters to a standard rackmount system. It comes with all mounting hardware and its own electrical connection. Box Dimensions (LxWxH) 19.0 x 2.0 x 0.5"